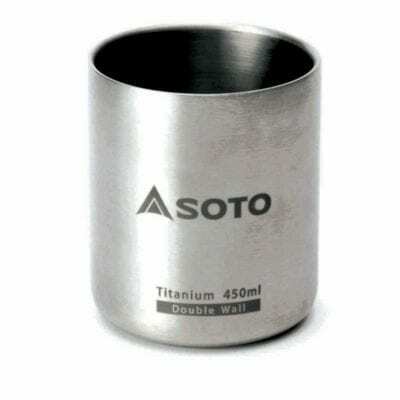 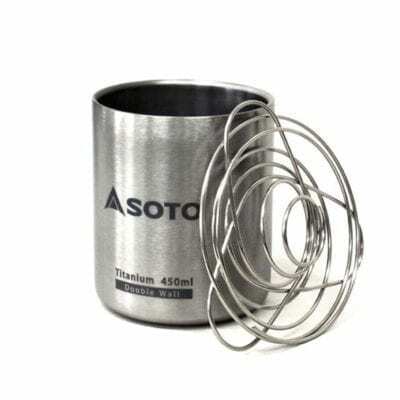 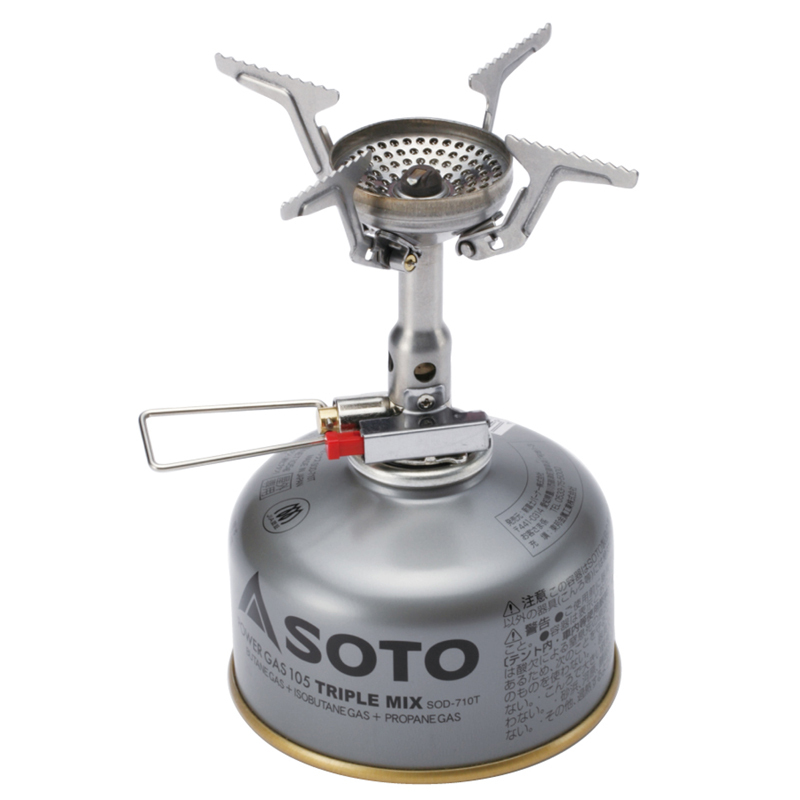 SOTO’s first low cost stove with high-end performance. 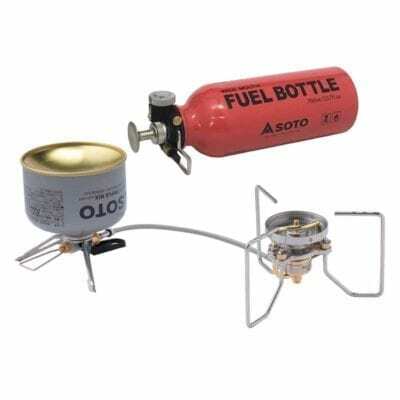 Hidden electric line for igniter. 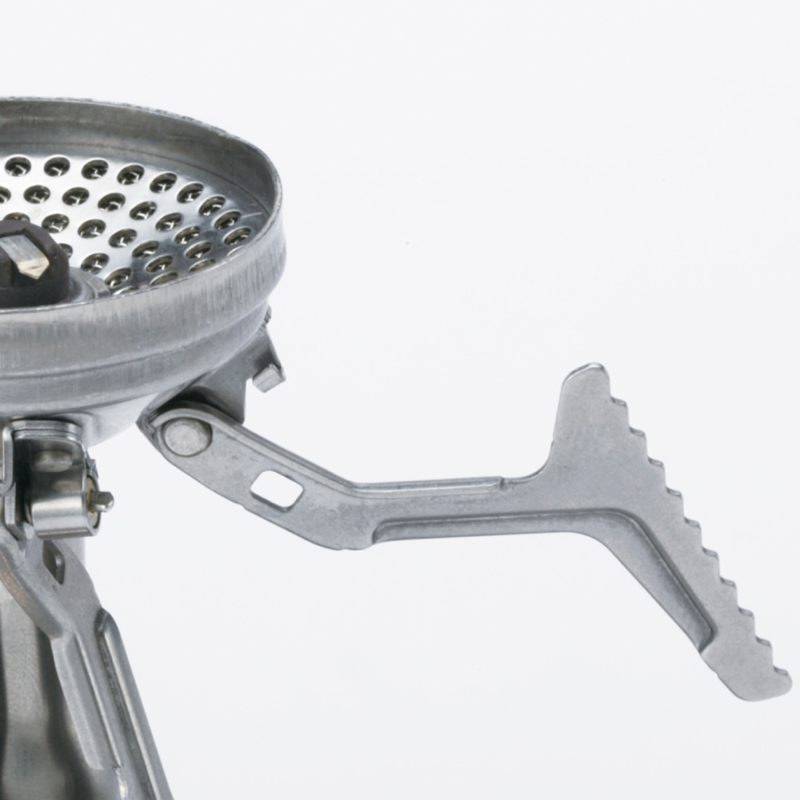 Light weight, compact and shock resistant with improved ignition. 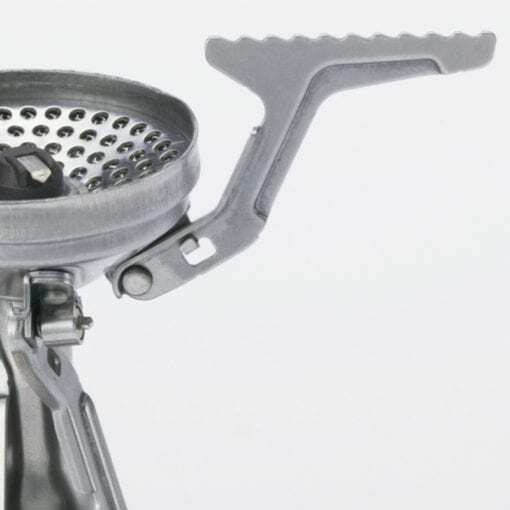 Unique raised ledge at the crown of the burner head combined with a concave burner surface for increased performance under windy conditions. 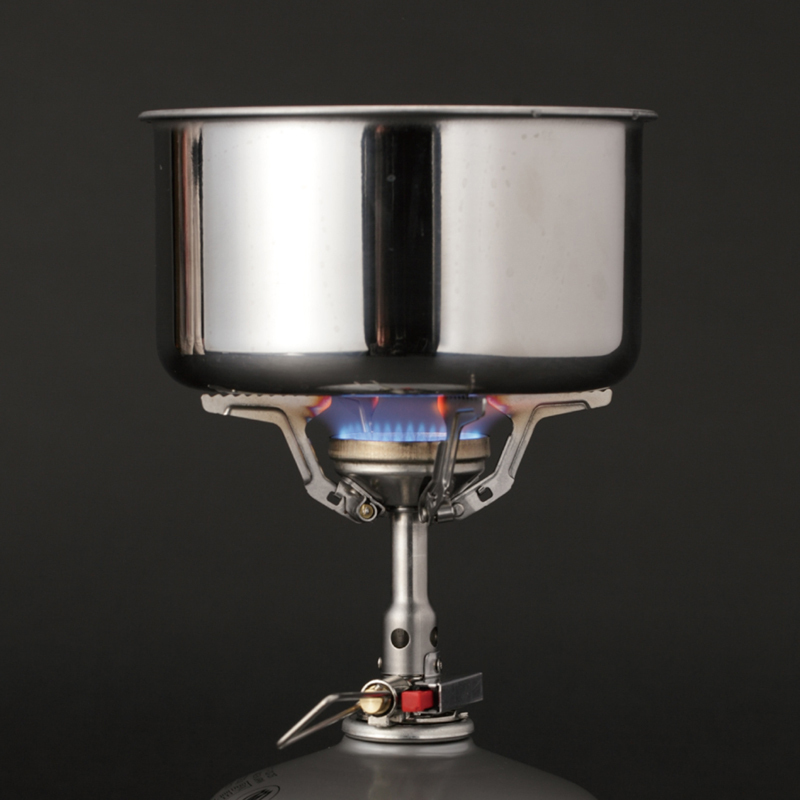 Spring-loaded pot supports are engineered for easy set up and pot stability. 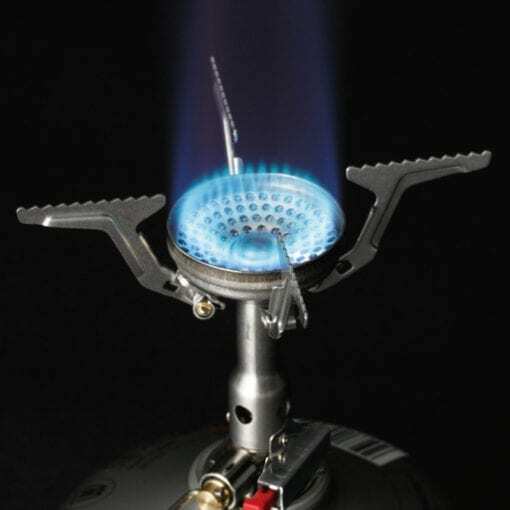 Rated at 10210 BTU, the Amicus is compatible with standard isobutane canisters such as Primus, Snow Peak, MSR and Jetboil. 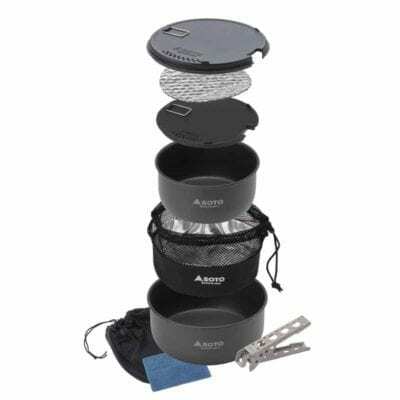 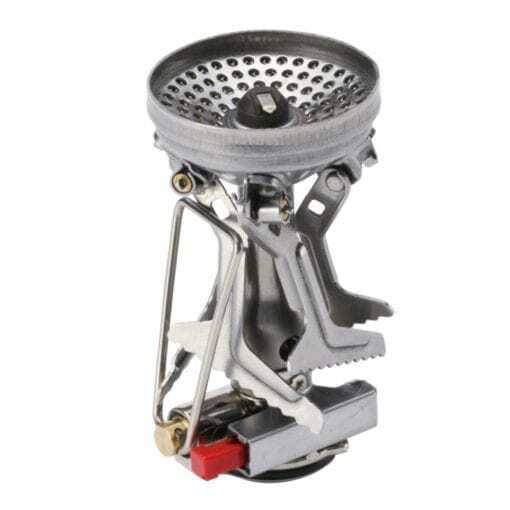 This canister stove has many of the capabilities of the more expensive stoves making it an ideal choice for camping and backpacking. A quality stove at a minimal cost that will simmer and mix and match with a variety of different cook pots available today.